The Crescent Homes GIVE program has been wildly successful in Charleston since conception in April 2017, with nearly $150,000 donated to 55 local Charleston nonprofits overall. Q4 of 2018 saw $19,750 going to four deserving organizations totaling $84,750. 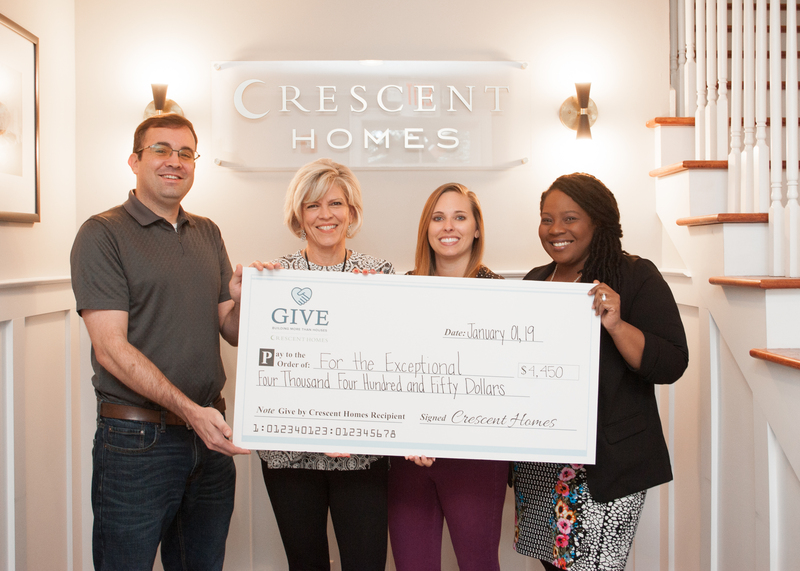 Crescent Homes is excited to expand GIVE to the Greenville and Nashville markets. In Greenville, the program will make a $250 donation to Homes for Hope for every home sold. Homes for Hope partners with builders and trade partners to build and sell homes locally, the profits of which are used finance worldwide organizations working to alleviate poverty through business training, financial loans and more. In Nashville, the donations will go towards the Nashville Rescue Mission, a local group dedicated to providing hope and support to the homeless community. The nonprofit offers housing, clothing, food and the foundation to start a new life under the program. 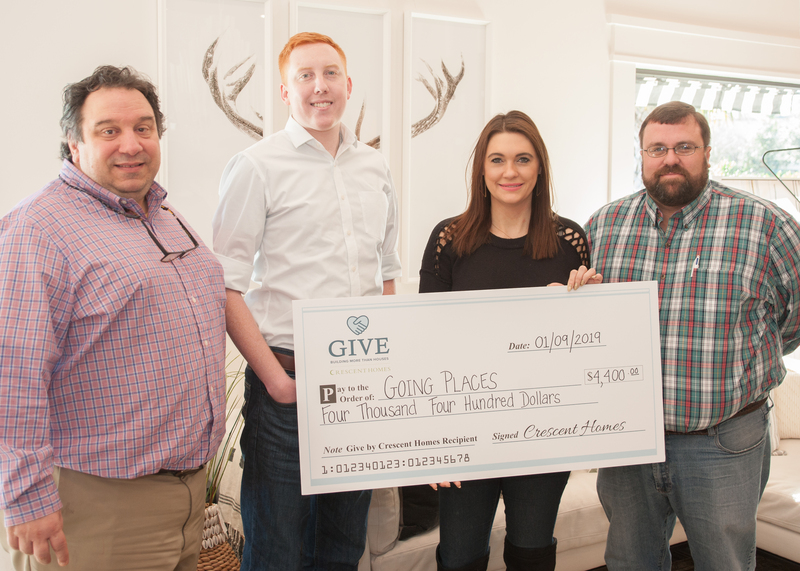 In Charleston, the GIVE program seeks to spread its charitable giving to a multitude of groups working to support the community at every level. In order to bring awareness to various nonprofits, several new groups are selected each quarter. New home buyers are given information on each of the nonprofits and have the opportunity to select where to send the donation in their honor. For the Exceptional is a local Charleston group providing fun, social, and enriching events for young adults with special needs, from an annual prom to monthly activities. The group further benefits the community by offering information and support to parents and others affected by special needs. 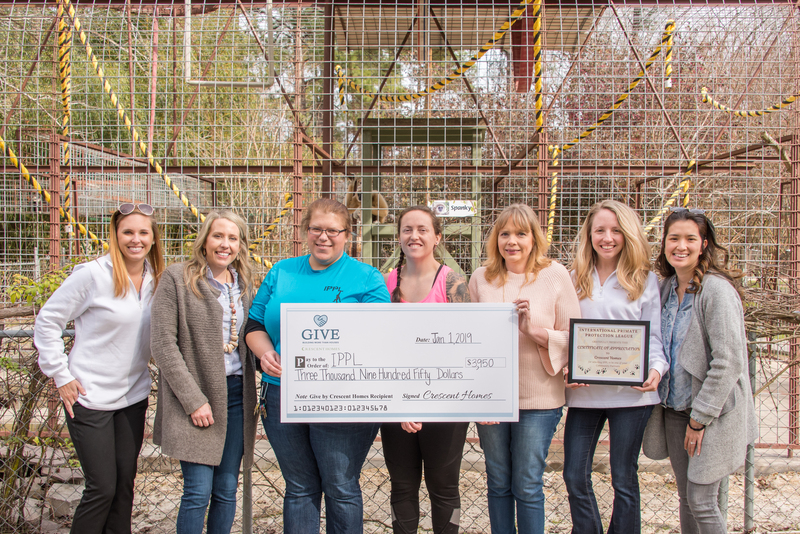 Maintained by the International Primate Protection League, Gibbon Sanctuary provides a safe haven in Summerville, SC for gibbons rescued from captivity to live out their days in peace. Going Places spreads joy through the gift of biking. Started by a first-grade teacher, the non-profit aims to give each Title 1 elementary school student a brand new bike, helmet, and lock. 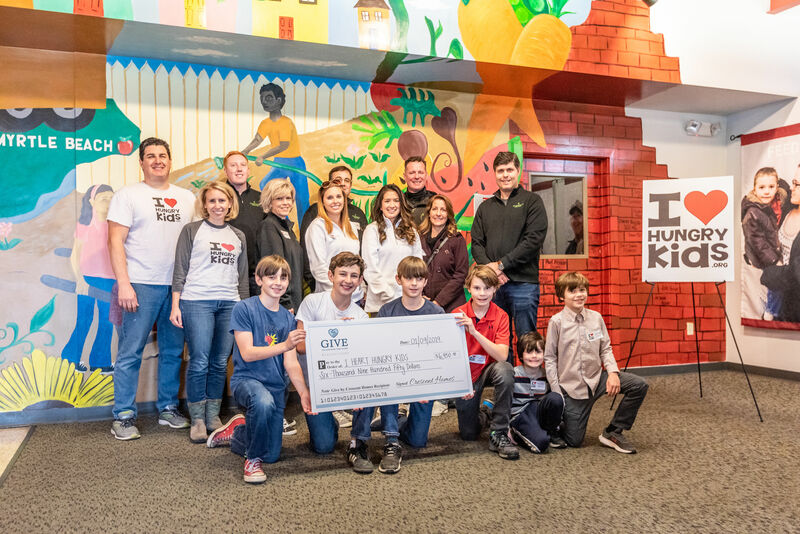 Started by Jackson Silverman when he was just 7 years old, I Heart Hungry Kids works with volunteer youth to provide healthy meals for children within the community. The Trident Literacy Association aims to put a stop to generational poverty through literacy programs, helping adults master reading, study for the GED, learn English as a second language, prepare for a career and understand basic computer skills. The local nonprofit has been promoting a litter-free Charleston since 1977 through education programs, spreading awareness and involving the community. WINGS for Kids provides a safe place after school for low-income children to participate in social-emotional learning programs. The groups work directly with students to improve the ways in which they relate to others, giving them the tools and inspiration to stay in school and succeed. Started by the Gilbert family as a place for orphaned, neglected and abused children, the Eagle Harbor Ranch is a safe haven and refuge. The ranch provides children with a caring family setting, where life skills are honed in a loving and enriching environment. Carolina Coonhound Rescue provides medical assistance, training, love, and compassion for abandoned or mistreated coonhounds until a forever home can be found. To be considered or recommend a nonprofit organization, please contact give@crescenthomes.net. *A fifth charity, Seniors Ride, was chosen to receive donations in Q4 but has sadly stopped offering transportation due to lack of funding.